Martin Harris, who tested Joseph by substituting a fake, look-alike stone for Joseph’s seer stone; Mr. Harris found that Joseph wasn’t able to “translate” using the look-alike stone in his hat. 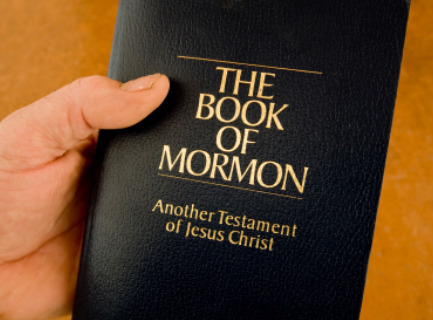 Jeffrey Holland, who believes the Book of Mormon is true, in part, because Joseph and his brother Hyrum would not have jeopardized their own salvation in their last earthly moments by clinging to a book of fiction. Ezra Taft Benson, who told Latter-day Saints that they should “flood the earth with the Book of Mormon”; a directive that was carried out, as noted by provided statistics. Thomas S. Monson, who said that the Book of Mormon changes lives. The testimonies highlighted yesterday in Church News brought another “testimony” to mind: that of Mark Twain. 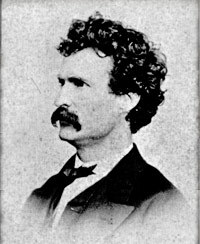 In his autobiographical travel book, Roughing It, Mark Twain detailed his experiences on the frontier of the American West (1861-1867), which included a stop in Great Salt Lake City where he obtained a copy of the Book of Mormon. Mark Twain’s satirical evaluation of the testimonies of the Book of Mormon witnesses highlights a sound piece of wisdom: Don’t just believe everything you hear. The questions must be asked: Who are/were these men? Why should I believe them? What else have they said and done in their lives? Where is the objective evidence that will support their claims? Here is where I disagree with Mr. Twain. As a believer in God, I find any words falsely attributed to God to be morally objectionable. A book that spuriously claims to be God’s own voice while promoting another Jesus, another Spirit, and another gospel than those which God has revealed in the Bible is “vicious” — and deeply, eternally harmful to the souls of men.